Pakistan stands at the cusp of a historic transition from one elected civilian government to another within the framework set out by the constitution. In a few months, the people of Pakistan will be exercising their democratic right to elect a new government. This transition is in line with the democratic aspirations of our forefathers who left everything behind in search of a better tomorrow. Their mass scale migration was in pursuit of a dream to live under a green and white flag as one nation, irrespective of caste, creed and colour. Given the fact that the people will deliver their verdict based on the performance or otherwise of the federal and provincial governments, I thought it appropriate to interact with the Islamabad-based envoys and heads of multilateral agencies, and share with them the story of how Punjab has fared in multiple fields and how the PML-N will build on the journey through a vision for a better tomorrow. Ever since its inception seven decades ago, Pakistan has been in the eye of the storm. The tragedy of the country’s bifurcation was followed by our participation in the cold war – an era that defined the country’s direction in several significant ways in the subsequent decades. Pakistan’s successful fight against terrorism is a lesson in how a national consensus backed by clarity of purpose can turn the tables. While the long war on terrorism may not be over yet, the tide has definitely been turned. The sacrifices that the nation has rendered reflect our quest for peace, not just for ourselves but also the world. The palpable difference between where Pakistan was in 2013 vis-a-vis the challenge of terrorism and where it is today shows that all institutions have worked together to quell terrorism. Eliminating terrorism has to do with defeating extremism and the mindset that generates terrorism. The battle for hearts and minds can be won through deradicalisation; investment in quality education and health facilities; and the creation of productive jobs commensurate with the people’s skill-set and knowledge. When the PML-N government was sworn in after the 2013 elections, a combination of three major challenges – energy, economy and extremism – stared it in the face. But as they say, where there is a will, there is a way. Once a decision was taken to accept the challenges head-on by converting them into opportunities, we never looked back. The performance of the PML-N government during the last five years is proof that constraints cannot stop you from achieving your goals if you have the right vision to guide you, a credible leadership to inspire you, and a capacity for hard work to translate your claims into reality. The remarkable successes achieved by this government were not possible without the active support extended by the international community. However, the solution to Pakistan’s problems lies within. It lies in achieving self-sufficiency and self-reliance. As long as we continue to hold out a begging bowl, we can neither command respect globally nor resolve our local problems with foreign recipes. However, this begging bowl will not be broken through rhetoric and sermons but through hard work and perseverance. The models and principles that worked for other countries in their quest for a respectable place in the comity of nations will also work for us. Though Pakistan did manage to achieve a GDP growth rate of 5.8 percent – the highest in as many as 13 years – the challenges of trade and current account deficits persist. Pakistan will not become prosperous through foreign loans but by relying on its natural and human resources. As Census 2017 holds, its youth is 64 percent of its overall population matrix, which is both a daunting challenge as well as an exciting opportunity. In Punjab, we have achieved amazing feats in all areas of governance – something unheard of and the firsts of its kind. A new culture of savings was founded whereby the government ensured savings of over $6 billion in development projects. Money that was saved this way was spent on public welfare projects, such as education and health. The educational landscape of the province was transformed through massive reforms in cooperation with its international partners such as DFID. The Punjab Educational Endowment Fund (PEEF) is probably South Asia’s largest endowment fund and thousands of students who are on scholarships provided by PEEF have realised their dreams and become inspirational stories in their own right. School enrollment has picked up pace. Likewise, reforms in the public health sector of Punjab are a story worth telling. Through a massive hike in budgetary allocations, the revamping of primary and tertiary healthcare facilities, and the use of the state-of-the art equipment, we have implemented bold and innovative steps, such as public-private partnerships, outsourcing and the introduction of third-party audit as the key pillars of our health reforms. The time has come to look towards internal consolidation. If the PML-N returns to power, we will make sure that our foreign policy priorities are determined by the imperatives of internal reforms to set the house in order. This day and age is marked by greater economic integration, connectivity and economic coordination. Countries and societies that oppose economic integration are negating the trends of time. My trade and investment policies will be aimed at attracting local, expatriate and international investors, and customised facilitative policies will be worked out accordingly in consultation with relevant stakeholders. My vision of tomorrow is premised on turning around the rural economy. We have already put in place the requisite road infrastructure through an investment of over $1 billion. The local government institutions are the linchpin in the provision of quality services to the people. The Land Record Management and Information System (LRMIS), undertaken with the support of World Bank, has digitised rural land records, empowering the landholders and giving rural women a share in their inheritance. Given the magnitude of population growth that now seems to be bursting at the seams, Pakistan can’t cope up with this challenge coupled with the youth bulge until it is able to grow at a rate of seven or more percent in the coming years. My agenda for a better tomorrow is focused on human development, women’s empowerment, climate change and addressing the water challenge. Punjab has done remarkably well in promoting women’s rights. A stronger role for women in national life, in my view, will catalyse the process of development like never before. Pakistan’s political parties need to come together on a shared economic agenda. The continuity of policies – no matter who is in power – will provide much-needed confidence to the local and international investors. Nothing is more damaging to the economy than a persistence of political instability. The general elections of 2018 present such an incredible opportunity for the start of a new era of continuity and reform. Irrespective of who forms the government after the elections, democracy should stay the course and the people must hold governments accountable through the ballot. 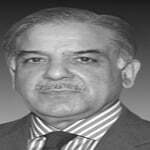 This article is an abridged version of the chief minister’s keynote speech at the luncheon meeting that the Punjab government hosted in honour of envoys and heads of multilateral agencies in Islamabad on May 12.